Kickstarting a plan to mop up the mob in one clean sweep! 2004, Seoul. 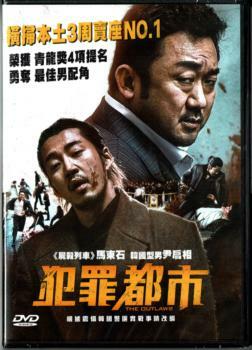 Coming from Harbin, China, JANG Chen is a new breed of gangster who single handedly takes over a mob and becomes the most feared gangster in the city. He and his merciless gang are willing to do anything it takes for money. Ruthless detective MA Seok-do wields his powerful fists to maintain peace in his city. When MA notices JANG falls his district into chaos, MA and his ragtag group of detectives form a plan to get rid of JANG and his men for good.